More Info: Peter Symonds College, Adult & Higher Education, Stoney Lane, Weeke, Winchester, Hampshire SO22 6DR. There is a car park at this Centre, but it can get full so allow plenty of time for parking. £99 + £12 (for materials, payable on the first day), includes use of tools. I run this workshop for Peter Symonds College and it is very similar in content to the workshops I run myself. Please be aware that class sizes might be slightly larger, timings differ and that there is an additional £12 fee, payable on the first day, to cover materials. PLEASE BOOK DIRECTLY WITH THE COLLEGE either using the BUY NOW link below or by phone 01962 886166 / online www.psc.ac.uk/ahed. 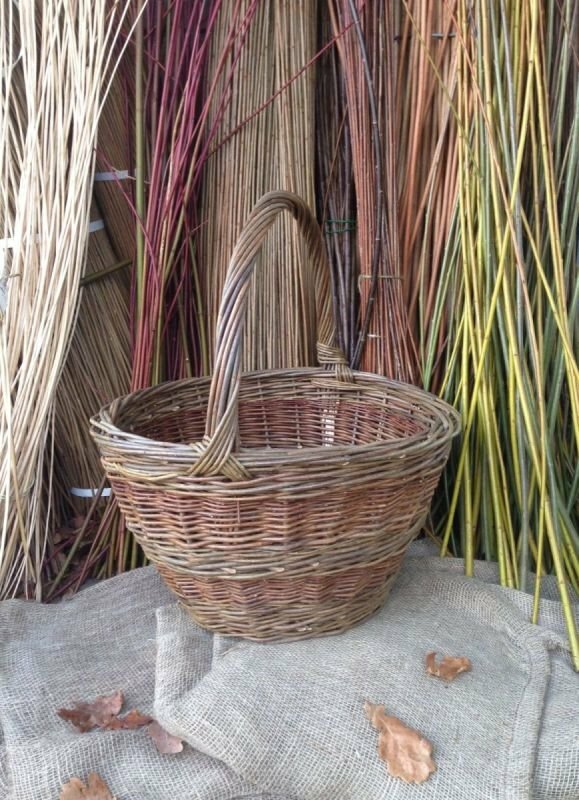 This workshop is suitable for absolute beginners, but please bear in mind that a certain amount of manual strength and dexterity is required when working with willow. The projects covered on my workshops have been selected for their relative simplicity and suitability for beginners. Throughout the workshop students may need to use specialist basketry tools (provided), many of which are either sharp or pointed, so a sensible approach to personal safety is essential! Refreshments are available to purchase at the Centre - please bring a packed lunch. A work apron is recommended.